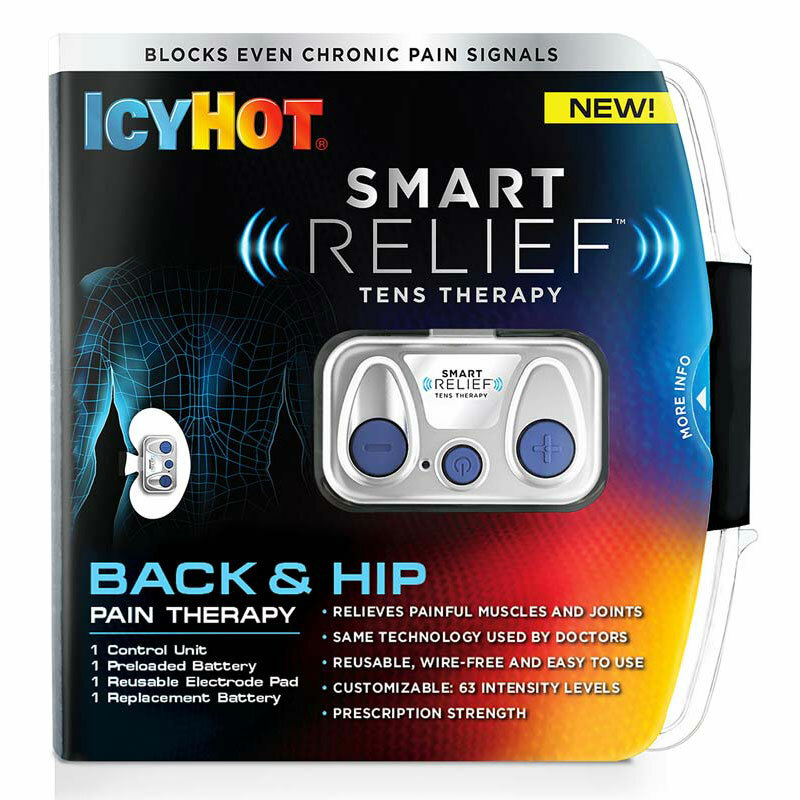 Inside the SmartRelief Back Pain Therapy Kit is the battery-powered electrical TENS unit. It’s about half an inch thick and smaller than a credit card. It has an On/Off switch with a small LED light to let you know the unit is on and the battery is good. Kit includes: control unit, 3V battery, reusable electrode pad and user guide. Same technology used by doctors. Relieves painful muscles & joints. Reusable, wire-free and easy to use.